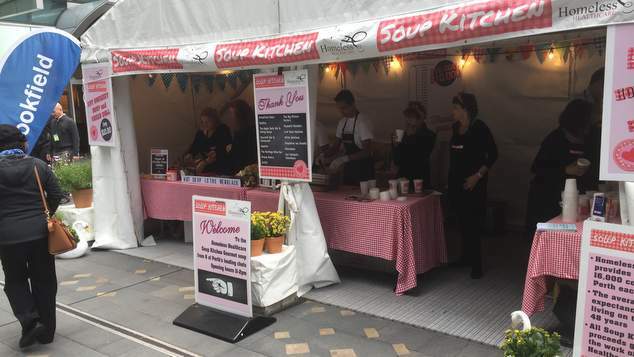 Show your support for National Homelessness week by dropping grabbing a cup of soup for lunch from a pop-up soup kitchen in Brookfield Place. The objective of the soup kitchen is to increase awareness of homelessness in the community and health issues surrounding homelessness. They sell soup donated by Brookfield restaurants including; Basilica, The Apple Daily, Churchill, Gazette, The Heritage and Primal Pantry. 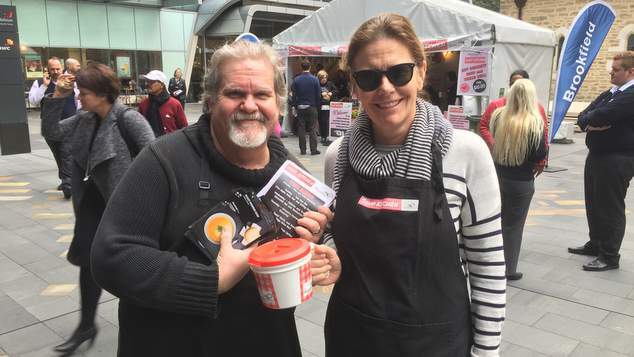 Each cup of soup sells for $10 with funds raised go to assist Homeless Healthcare in delivering health services to homeless and marginalised people in our community. Today’s soup choices were a vegetarian option of pumpkin, and a tasty Tom Kah Gai created by the team at The Apple Daily Bar & Eating House, plus there was the choice of some corn bread or a bread roll. You can even pick up the recipe so you can make your own batch at home later. 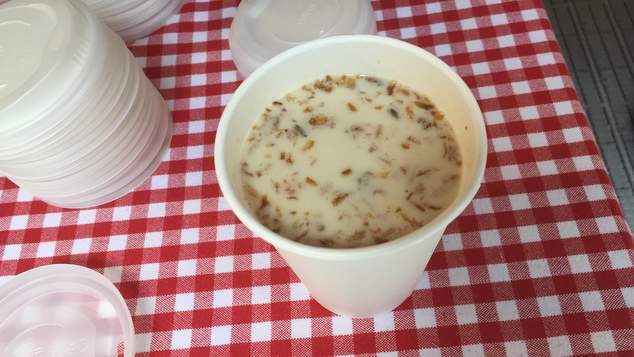 The Homeless Healthcare Soup Kitchen is in Brookfield Place from 11am – 2pm this week.